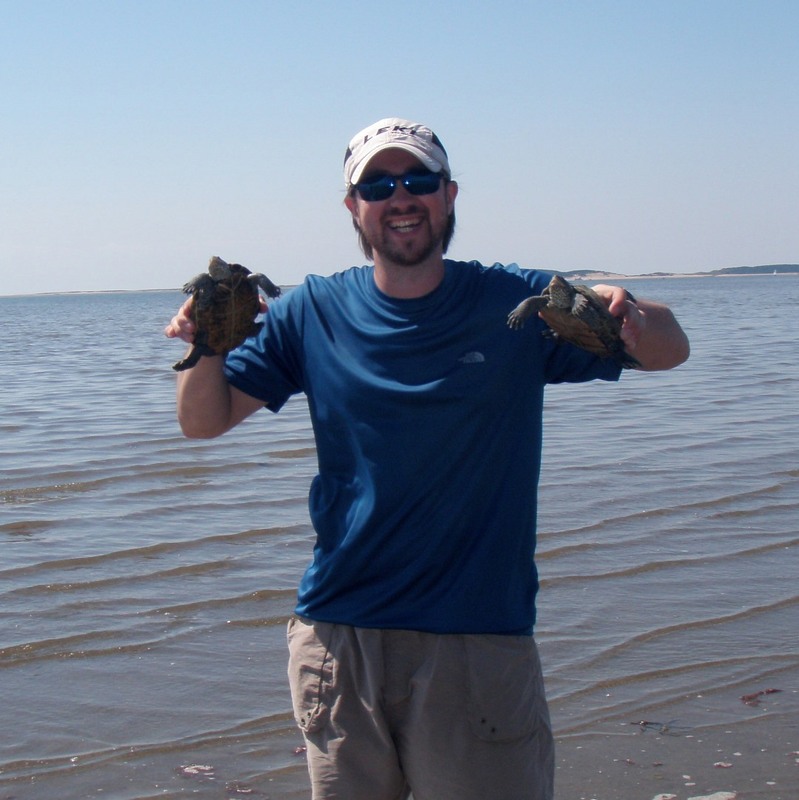 Home » People » Graduate Students » Bolus, Matthew G.
Spatial ecology of the northern diamondback terrapin (Malaclemys terrapin terrapin) of Wellfleet Harbor in Cape Cod, Massachusetts. Abstract: The northern diamondback terrapin (Malaclemys terrapin terrapin, terrapin) is a state listed threatened species of turtle under the Massachusetts (MA) Endangered Species Act (MESA, MGL c131A)) and being at the northern limits of the species range, terrapins in MA could be particularly vulnerable to anthropogenic disturbance, greatly threatening the persistence of their populations. Despite the regular use of dredging to aid in local boat navigation, little is currently known whether the habitat use and movement patterns of terrapins make them susceptible to the impacts of this common disturbance. To address this knowledge gap, I will use acoustic telemetry to identify overwintering sites throughout the basin and quantify the spatial distribution of these sites by monitoring seasonal movement patterns of terrapins over multiple years. The results from this study will not only provide some of the first information of spatial ecology of northern diamondback terrapins near the northern end of their range, but this information will also be used by federal, state, and local managers to determine any potential impacts to the terrapin population by proposed dredging. Sutton, W.B., M.G. Bolus, and Y. Wang. 2009. Lampropeltis getula nigra (Black Kingsnake). Ophiophagy. Herpetological Review. 40 (2): 231.